Going through the experience of being in a car accident is nothing short of devastating. It does not matter if you are the driver, passenger, or pedestrian. Few other situations have the power to cause stress, anxiety, fear, and uncertainty all at once like a car accident. Being injured in the accident only makes matters worse as it heightens the trauma not only physically, but mentally and emotionally, as well. Questions like, "How will this injury impact my future?" and "Will I ever be able to work again?" are common questions to ask. When you realize that one of the best ways to get answers is through hiring an attorney, Patrick O'Hara is who you want to call. Patrick has the drive you are looking for in an attorney who will not back down from insurance bullies or opposing parties. While he has the aggressiveness to take on your case fearlessly, he also has the compassion you need to help put your mind at ease. 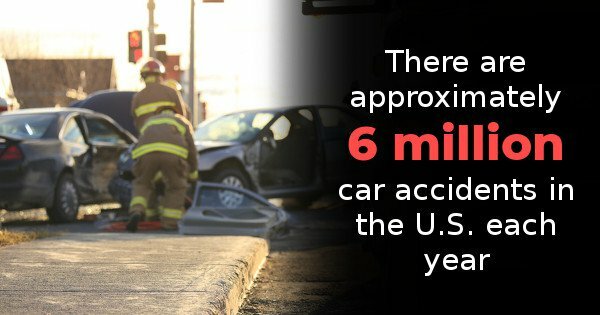 There are approximately 6 million car accidents in the United States each year. While there are a number of important steps to take in the moments following a crash, most people understand that choosing the right lawyer when the time comes can make or break your case. But when it comes to choosing a lawyer for car accidents, knowing what to do as well as what not to do truly makes all the difference. Here are just a few tips to keep in mind to help you choose the right car wreck attorney, as well as how to avoid choosing the wrong one. The three most common causes of car accidents in the United States are distracted driving, drunk driving, and speeding. It may help to consider the cause of the accident as it could have an effect on the amount of damages you collect. It is just as important to choose a lawyer that specializes in that specific accident type so he or she can guide you on your options. The more experience your lawyer has with cases just like yours, the higher your chances rise of receiving ultimate success and satisfaction at the outcome. Word-of-mouth always has always will be the most trusted form of marketing. In addition to keeping the cause in mind, it is also important to ask around to trusted friends and family members regarding any success they have had in the past with a particular car accident lawyer. But do not just get the name of the law office; make sure to collect other relevant details, like whether the lawyer kept their client up to date on the case, whether they communicated well, if they seemed passionate, returned phone calls and emails, etc. Asking about these specifics helps you narrow it down when you are left with a few close options. Finally, one outdated and almost entirely obsolete method of finding a lawyer is using the yellow pages. Unless you are in a serious bind and cannot remember any other phone calls, there is nothing valuable in the yellow pages aside from a list of law firms and phone numbers. If you want some direction, try the previous tips mentioned. If you are hurt in a car accident, you deserve to work with a lawyer that specializes in all types of cases involving car accidents. Do not hesitate to take the time you need to find a reliable lawyer you can trust. For more information about car accident cases, contact Patrick O'Hara.